Excited. Making. SHINY THINGS: Raspberry... P.I. Another joke gone horribly wrong. 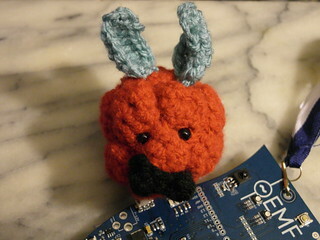 Overheard someone describing a raspberry pi as a "raspberry pee eye" and then decided this needed to be celebrated with a raspberry sporting a Tom Selleck 'tache. I used to make cyanotypes but now I mostly just MAKE!